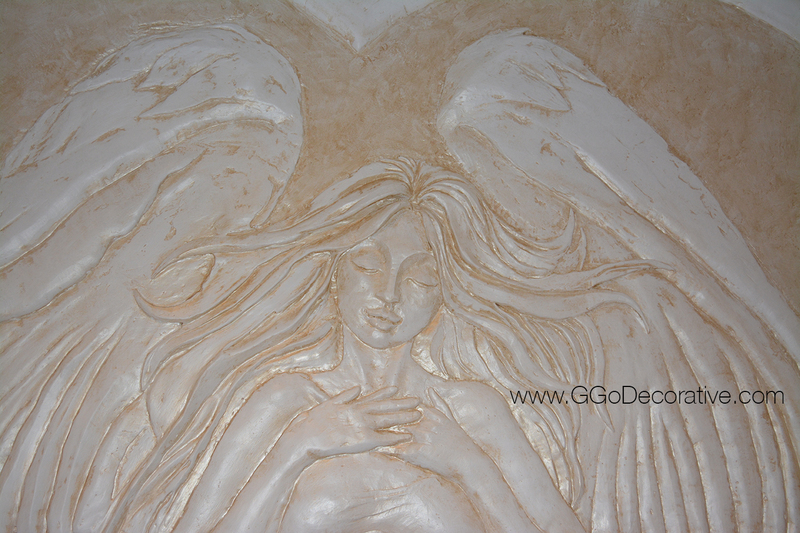 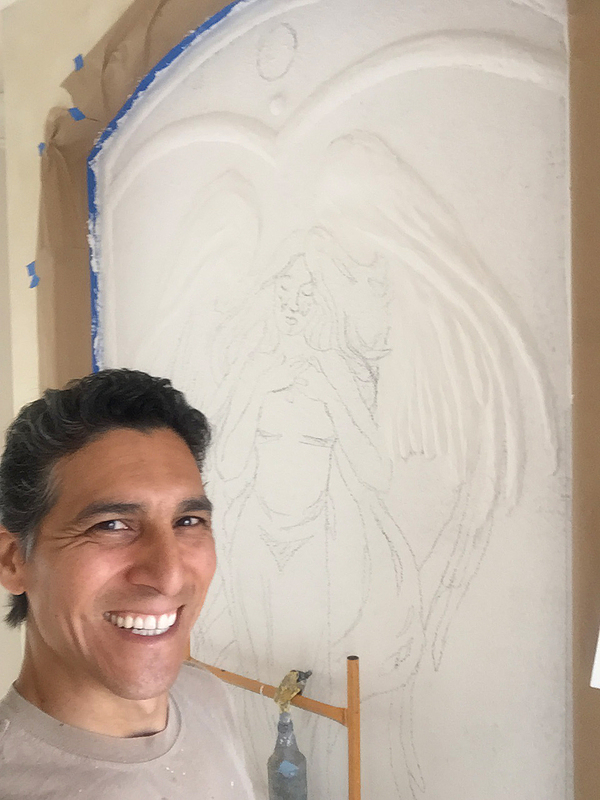 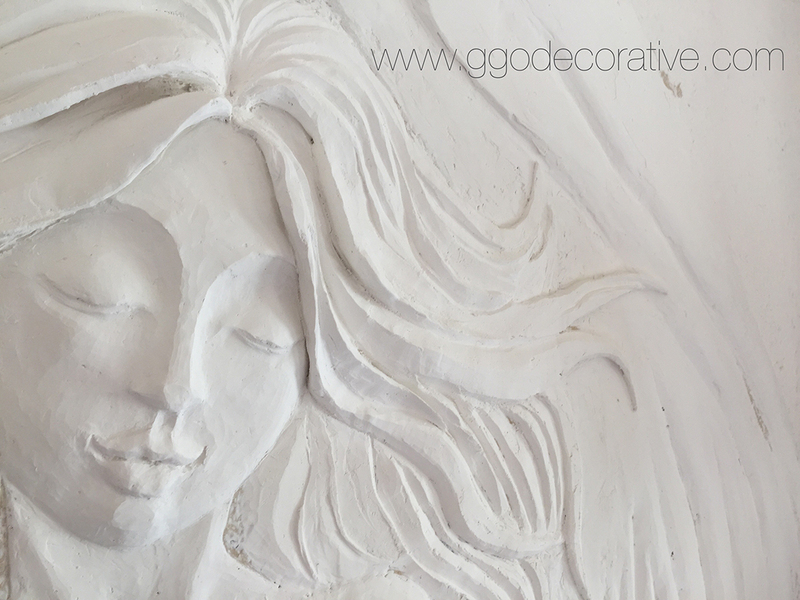 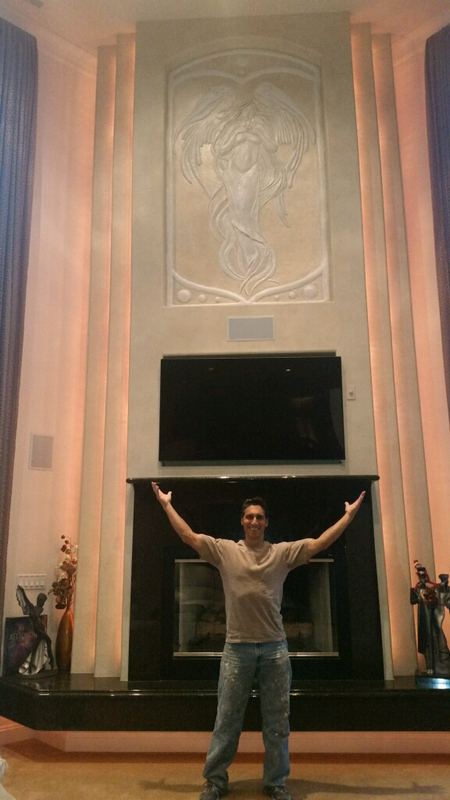 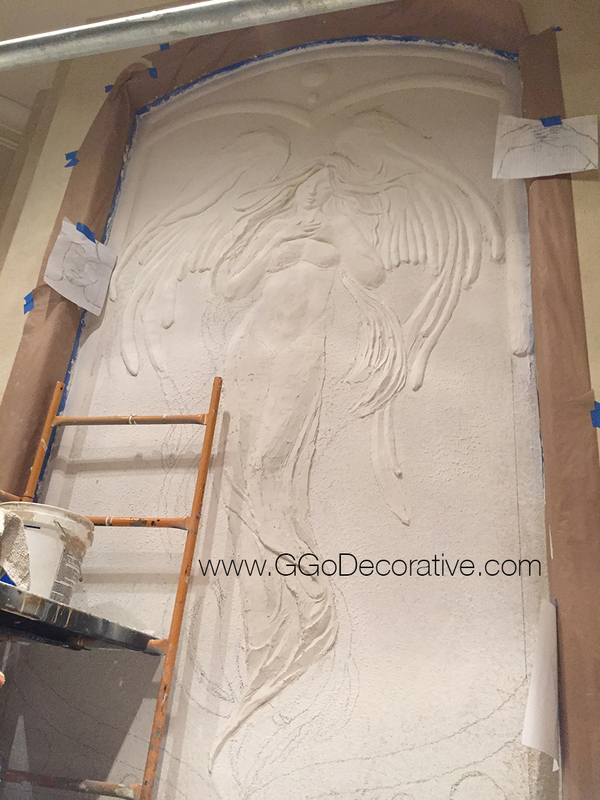 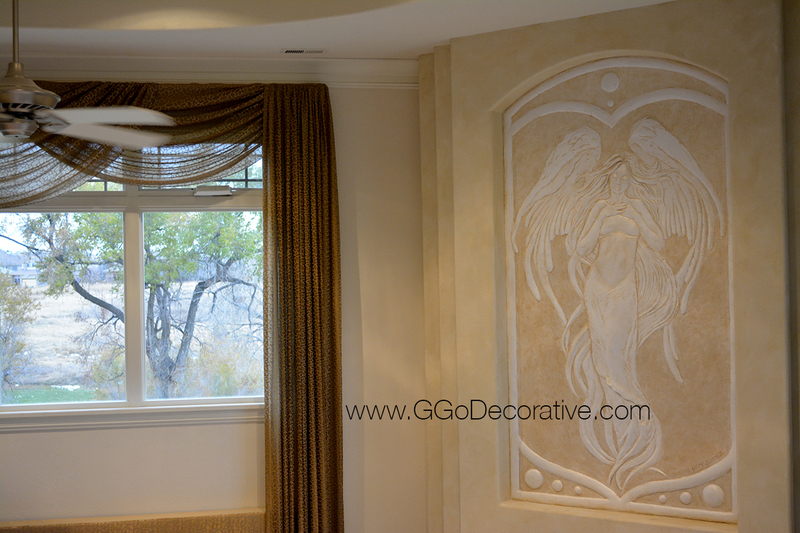 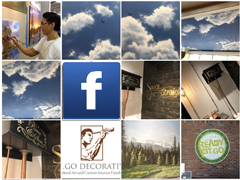 This life sized Angel Mural overlooks the home of two ambitious entrepreneurs, and represents their life purpose, pursuits, inspiration, guidance and protection. 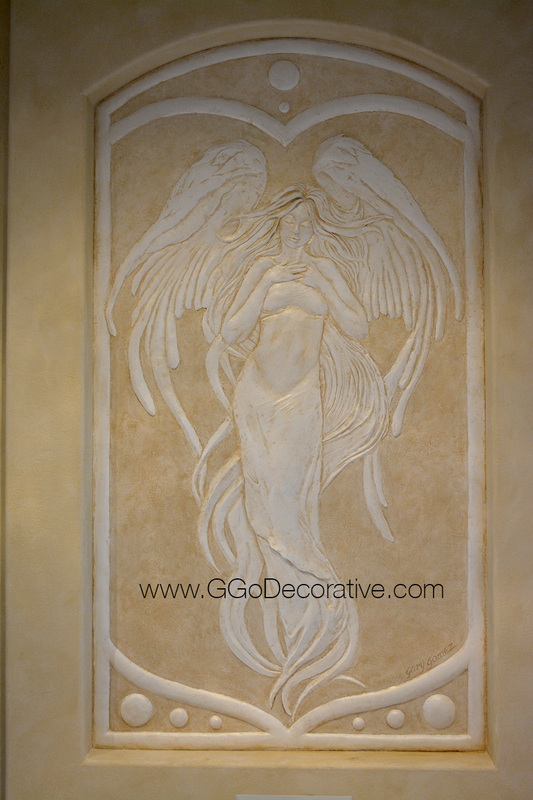 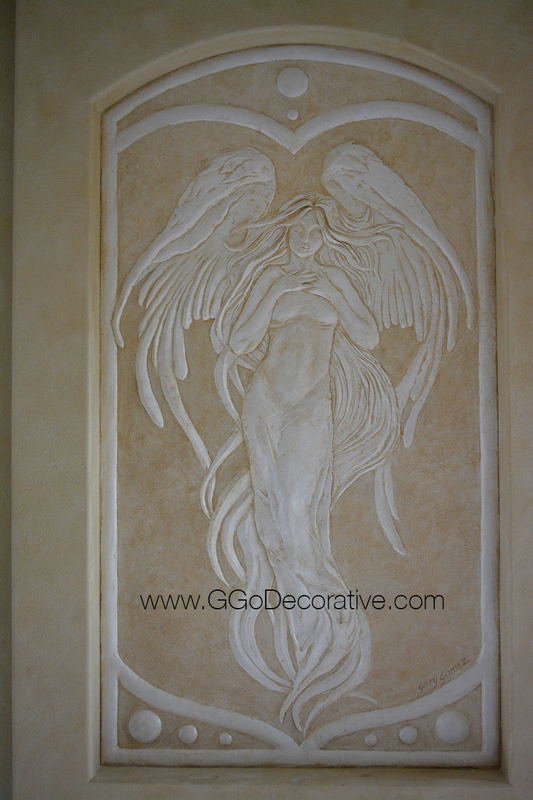 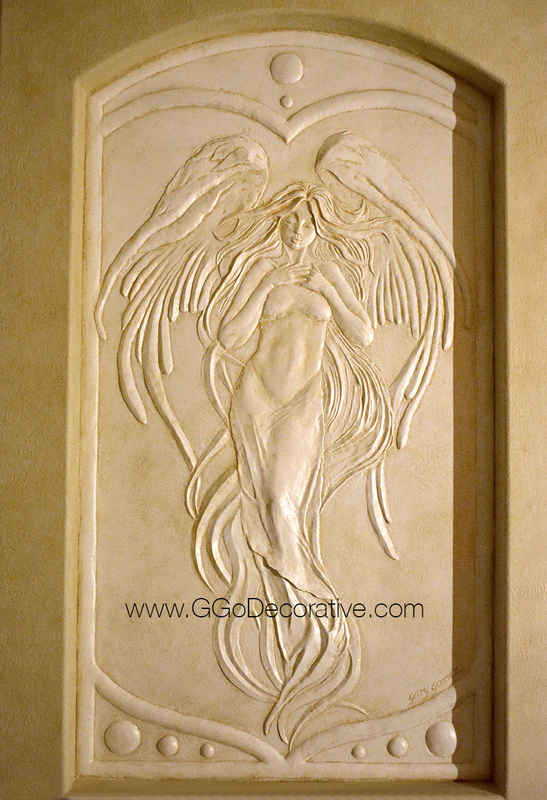 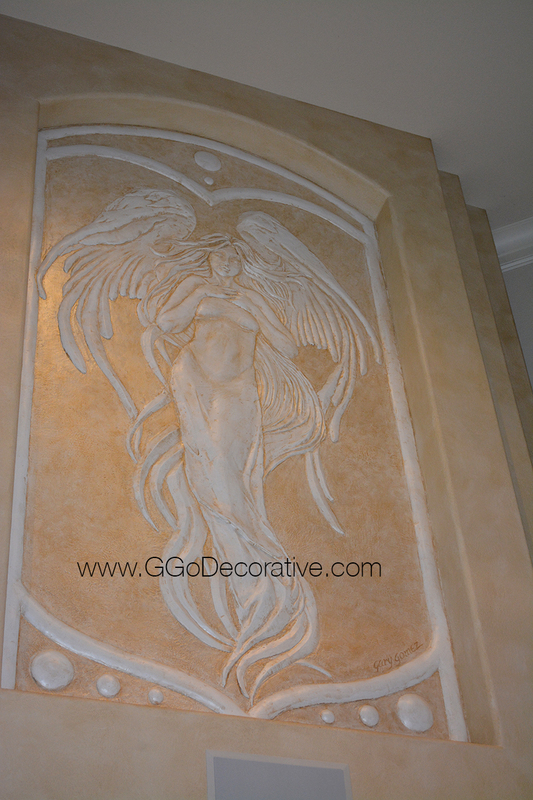 Bas Relief Sculptural Mural Wall Art is sophisticated and unique. 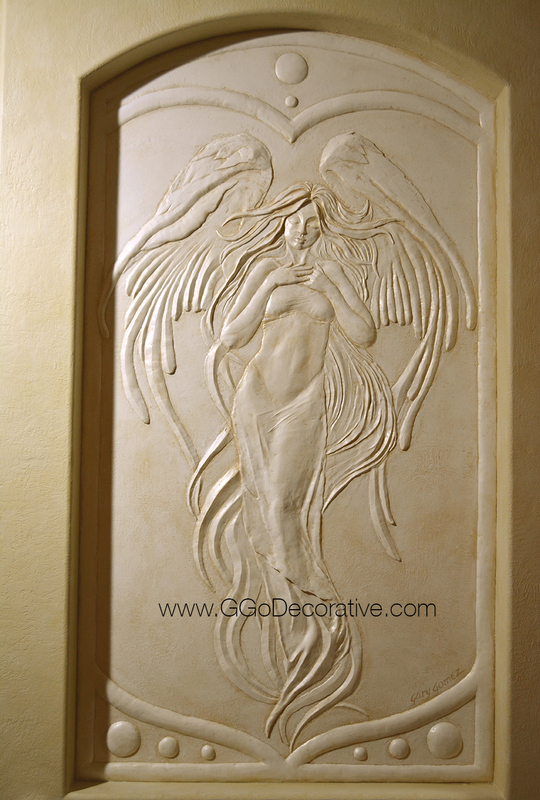 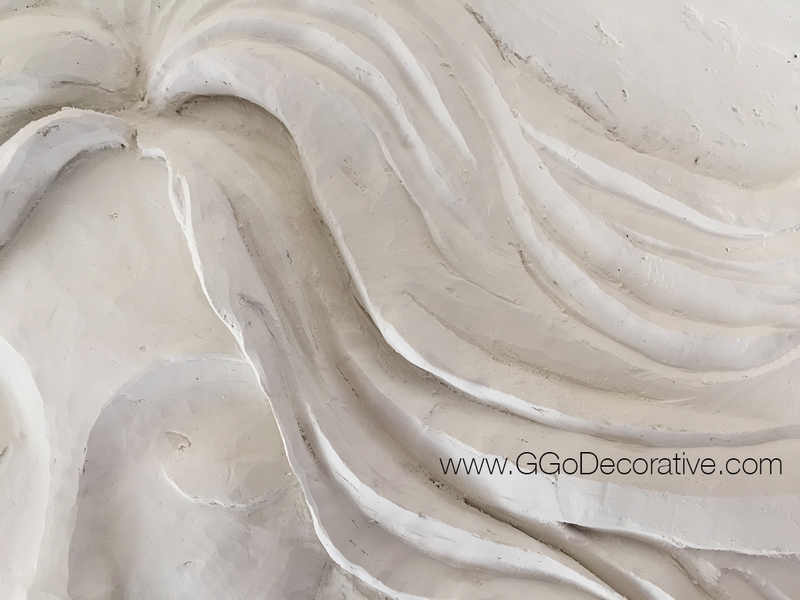 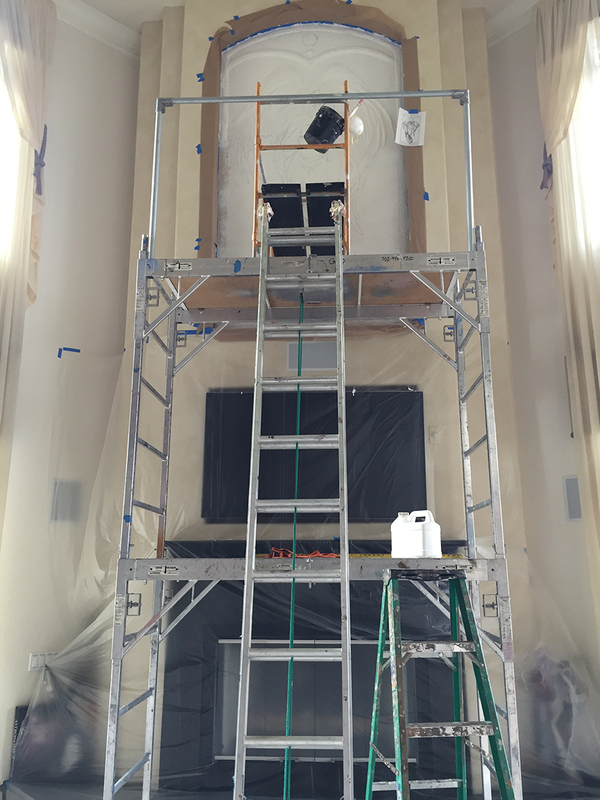 The artwork is physically sculpted to utilize light and shadow for a powerful impact.